Total Nonstop Action Wrestling(TNA) entered into a working relationship with AAA in the mid 2000s which brought TNA wrestlers to compete at AAA events such as Triplemania and Guerra de Titanes, and AAA wrestlers to compete at TNA events such as the Americas X Cup and World X Cup. Many of the TNA wrestlers who came to AAA joined La Legion Extranjera or La Sociedad. AAA wrestlers who spent extended periods of time in TNA include Shocker, Hector Garza, El Mesias & Extreme Tiger. 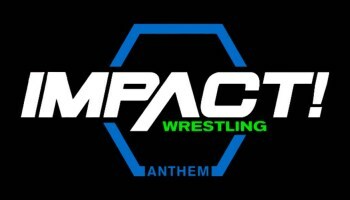 In early 2017, TNA changed its name to Impact Wrestling. It renewed it's working relationship with AAA and began a working relationship with The Crash promotion. The relationship with the Crash had Impact send their wrestlers to compete at Crash events such as Jeff Jarrett, Bobby Lashley, Matt Hardy, Jeff Hardy, James Storm, Eli Drake, & DJ Z. The Crash sent Garza Jr. & Laredo Kid to compete at Impact events. The working relationship with the Crash ended when Konnan, the intermediary between the two promotions, left the Crash. This page was last edited on 19 January 2018, at 02:41.